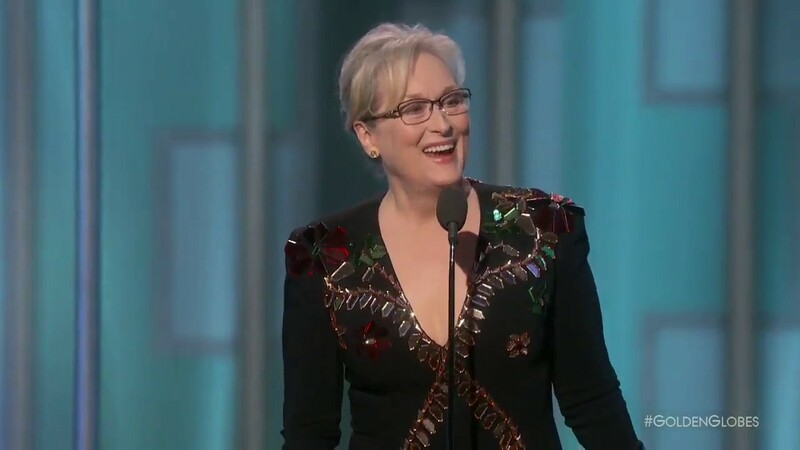 Actress Meryl Streep called out President-elect Donald Trump during a speech at the Golden Globes — without even mentioning his name, the New York Times reports. “President-elect Donald Trump plans to give his Cabinet secretaries and top aides significant latitude to run their federal agencies, marking a sharp departure from Barack Obama’s tightly controlled management style, according to people involved in and close to the transition,” Politico reports. It looks like neither Democrats nor the Office of Government Ethics are going to be hustled by the Team Trump/Mitch McConnell strategy of stampeding a bunch of his cabinet nominations through the confirmation process all at once without the traditional ethics review before the hearings. Now, Walter M. Shaub Jr., director of the Office of Government Ethics, has released a statement saying that the rushed confirmation timetable is “of great concern to me” because of the attempt to skip the ethics review. Apparently, the Republicans don’t yet get that pretending they have a big popular vote mandate like Reagan 1980 is not quite the same thing as actually having one. Ed O’Keefe and Sean Sullivan report on the controversy at the Washington Post, noting “Ethics experts from both political parties expressed dismay at the possibility that confirmation hearings would proceed before the OGE reviews are completed.” While it seems likely that nearly all of Trump’s nominees will eventually be confirmed, Republicans are clearly concerned that many, if not most of them, have some potentially embarrassing ethical issues, and they would like to minimize the damage. It seems only fair to commend state Democratic Parties in those instances when they do a good job of making room for exciting new leaders. In that regard, Brian Eason’s “Working-class mind-set fueled Duran’s historic rise to House Speaker” at The Denver Post profiles an impressive new leader, Crisanta Duran, who at age 36 ascends to the speakership of the legislature of a pivotal swing state. The first Latina speaker of the Colorado state House, Duran, who addressed the Democratic National Convention last year, checks an array of demographic boxes, including Mexican, Indian and French ancestry and she is the daughter of a labor union leader and granddaughter of a steelworker, served as a union staff attorney herself, and enthusiastically champions a working-class agenda. She is described in the article as an “incredibly strategic,” skilled negotiator, as well as a “warrior.” Dems should more pro-actively do whatever is necessary to encourage more such young and dynamic leaders to emerge in the states. Republicans are preparing to repeal the Affordable Care Act, and have promised to replace it with something that doesn’t leave more than 20 million Americans stranded without health insurance. They won’t solve it. They can’t and won’t replace Obamacare, for three big reasons [abbreviated, more detail in post — ed.]. Second, every part of Obamacare depends on every other part. Which gets us to the third big reason Republicans can’t come up with a replacement. Revoking the tax increases in Obamacare – a key part of the repeal – would make it impossible to finance these subsidies. Wow! That Chris Cuomo/Kelly Ann Conway clip is worth everyone’s time. Conway and Trump are such children. “Look at what they did and not what we’re doing!” The false equivalencies are stunning. Speaking of Cuomo vs. Conway I believe I’m beginning to see actual journalism returning to the airwaves, love the way he hammered Conway as she well deserves it. If this keeps up Chuck Todd will actually cut off liars and do something that resembles his job.